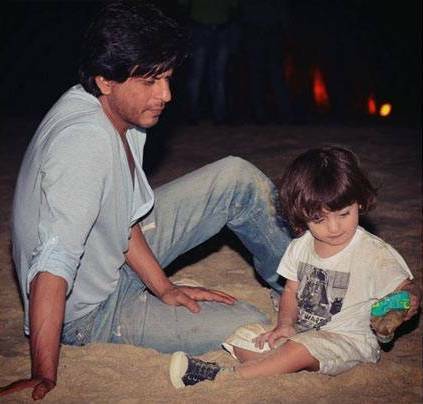 Shah Rukh Khan’s son AbRam is cuteness overload. Everything about him is super adorable. With his mop of hair and sweet activities, be it a pout selfie with uncle Karan Johar or when he’s chilling with papa SRK on the beach or playing on the ground at Eden Gardens, after the IPL match, AbRam sure knows how to be cute and how to keep the social media abuzz. At an event, when King Khan was asked to comment on the compliments that AbRam is receiving after the IPL match, he said, “How can I praise my own child? He is a very good boy. 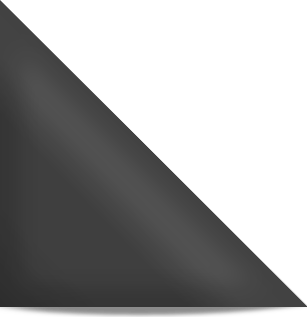 Now, the new generation comes in and they take over. AbRam is receiving compliments and attention, it’s really amazing”. This one is at the beach, while the little one is playing, dad is happy to just look on. He is the apple of the eye of not only his star parents but his big brother Aryan Khan too. 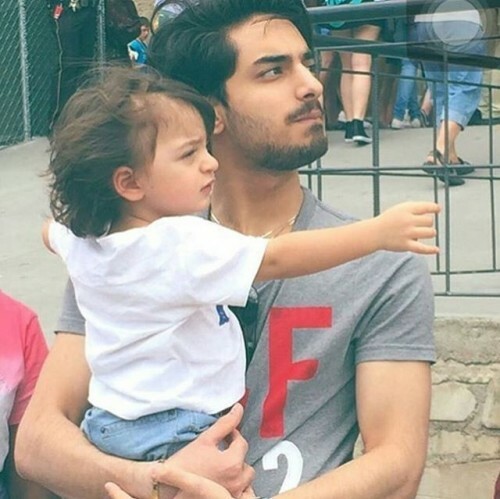 Recently, Aryan mentioned the younger one as his ‘back bone’! And we are going all mushy and awwww…. 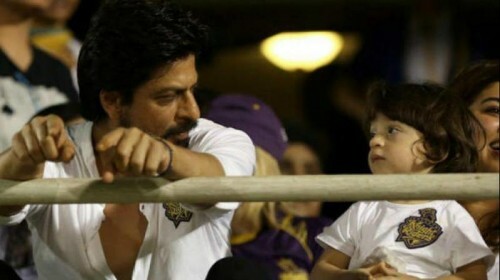 In this pic, AbRam is holding his finger… now, isn’t that soooo cute! In this video, which is posted by Aryan, Abram calls his cousin brother Arjun by name, while mother Gauri Khan teaches him to address the elder brother as ‘Bhaiya’. And check out AbRam’s picture with his cousin Arjun whoM he was calling Bhaiya in the above video. 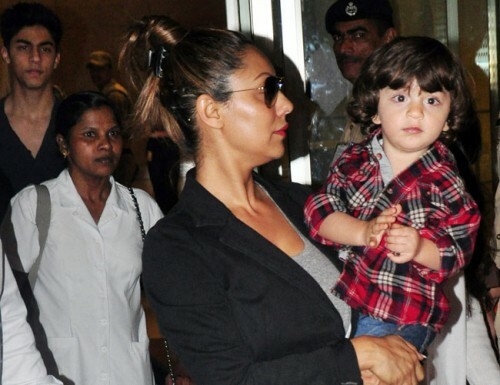 AbRam (2) is the youngest of Shah Rukh and Gauri’s three kids, including Aryan (19) and Suhana (15).